The best speakers in the world. In 2010, Alfred Vassilkov and his daughter Alissa Vassilkova went to Enterprise Estonia and proclaimed: “we will start producing the best speakers in the world, will you support us?” The Vassilkov family’s decision to create a company that produces exclusive, valuable, handmade speakers, tuned to the finest sound and design details, was born at a Sunday breakfast table seven years ago. 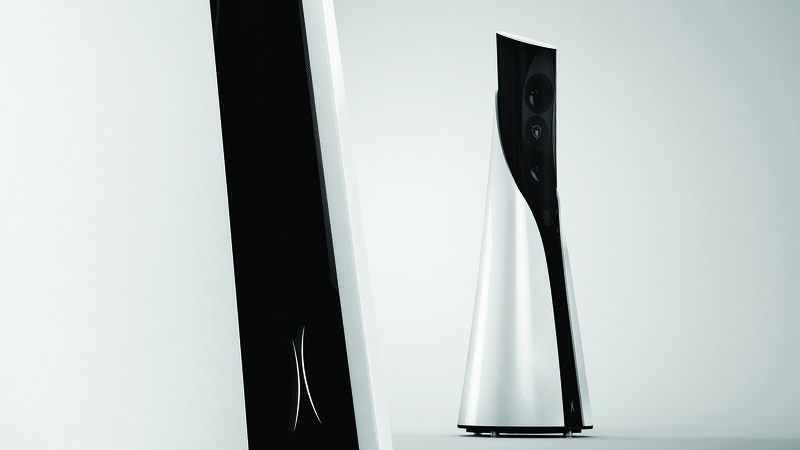 It was only six months later that the company Alfred & Partners won its first global recognition − the International CES Innovation Design and Engineering Award − with the speaker model Estelon XA at a trade fair in the USA. Given out since 1976, the purpose of this award is to recognise home electronic appliances and technical solutions that stand out in terms of their design. Today, the list of awards received by Estelon would take up pages. Alfred Vassilkov has been interested in sound technology all his life and spent at least half of it as a professional in the field of researching acoustics and creating electronics. Born in St Petersburg, he studied electroacoustics and ultrasound technology until he received an invitation to work at the newly established home electronics department at the Soviet radio electronics factory in Tallinn. 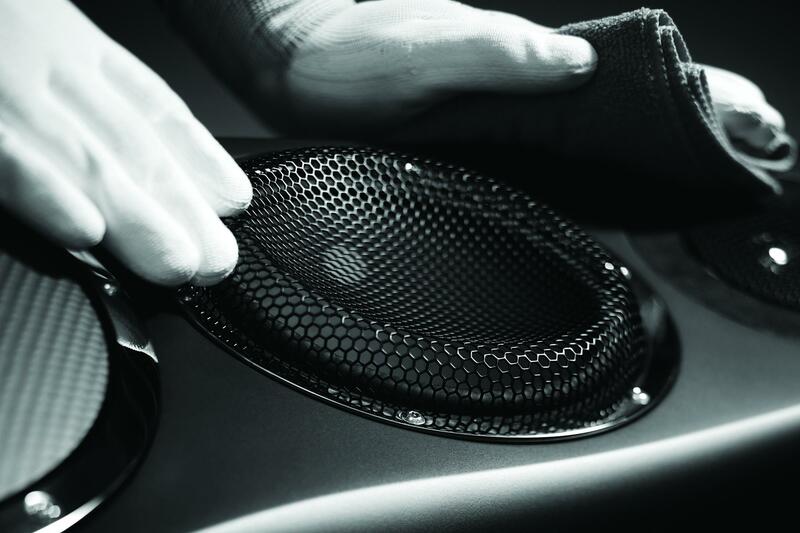 The aim of the department was to create the highest quality stereo equipment and speakers were a part of that. “Of course, I was already interested in speakers and sound design before − as a young kid I used to dismantle radios and see how electricity becomes sound and why they are so different,” recalls Vassilkov. “Acoustics has always fascinated me. My grandpa and his sister played the accordion and I always listened to their concerts and I heard a lot of radio. This is where my musical understanding originates.” Vassilkov himself did not play accordion for long − after all, boys are meant to play sports. Although Alfred and his two daughters Alissa and Kristiina do not play musical instruments, they have all inherited a feel for music. As Estonia re-established independence, life became full of changes that were sometimes difficult for Alfred. Working in a Soviet factory meant that there was only ever one contract, hence no competition and no need for marketing. Suddenly, the borders became open. 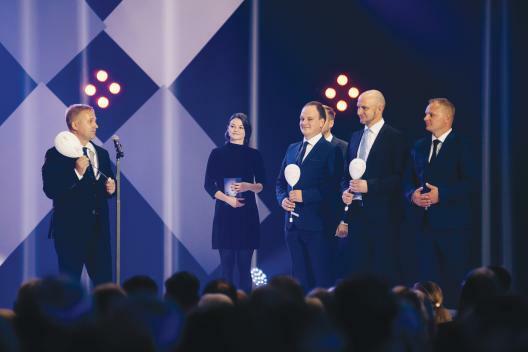 The engineer with an inventor’s soul spent several long years working in his own lab along with the Estonian company Audes, which had grown out of the former radio factory. 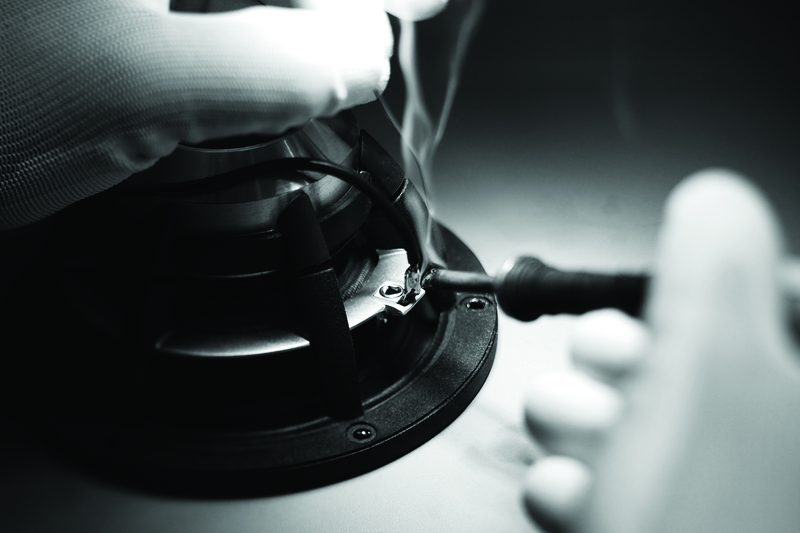 In collaboration, the first speakers were born in 1999 and product development took ten years. By 2010, Alissa had been assisting her father for a while. “Dad took me along to various exhibitions and trade fairs and, in essence, tested my ears. As we came out of different producers’ showrooms, he always enquired about what I had heard. I tried to explain what I remembered about the sounds I had heard. In the end I think it was a relief for my father that there was nothing wrong with my hearing,” laughs Alissa Vassilkova. “We had spent years researching different materials and looking for people for our team. But when Alfred brought his first speaker model out of the basement, we realised that we would not be offering it to other people. Looking back, it seems like a totally crazy journey, but here we are today and the awards we’ve received show that it was the right decision,” recalls Alissa. She claims with satisfaction that in order to make it to the top globally, one must work more than what is considered normal. “I was young and brave and could not foresee any dangers. I also went to Enterprise Estonia with this bold claim that we were going to produce the best speakers in the world. They stared at me with big eyes and asked how I knew that. 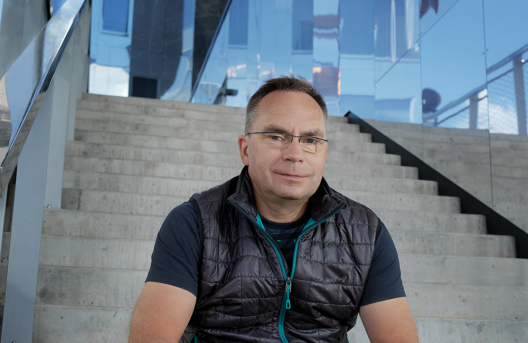 I said, I knew because my father was making them!” In fact, Enterprise Estonia has put immense trust in the project and has supported Alfred & Partners with various grants since its establishment. The Vassilkov’s first international trade fairs were in Denver and Las Vegas, but now they have taken Asia as their target market with resellers in China, Taiwan, Hong Kong, Japan, South-Korea and Singapore. “The image of Estonia is great there − we are considered a Nordic country and European products are held in high esteem. In Asia, people appreciate classical music and want to listen to it on a great sound system,” explains Alissa. “We quickly realised that the Asian market is not full like it is in the USA. In America, the audio equipment and home cinema culture is quite old and the market has already developed. In Asia it is a growing market and Estelon holds a very high position there.” Alissa says that their brand name really hit the spot in China by coincidence. Estelon means “love poem” in Chinese and, indeed, what could be more beautiful for a human ear than a love poem? It is no secret that Estelon’s ear-loving speakers do not come cheap. Their products will never go into mass production and it is only the really affluent or dedicated audiophiles who buy them. Often Estelon’s customers are both. Estelon’s YB model costs 17 000 euros and has received the award for “Best sound for the money”. However, Alfred and Alissa take great pride in the Estelon Extreme Legacy Edition, a super luxury set of speakers in terms of sound, design and material, which were specially released for the 60th anniversary of the Rolls Royce Enthusiasts’ Club this year. It takes 16 weeks to produce a pair of Extreme speakers and they will set you back 250 000 euros. Just applying the 14 layers of paint and polish to the speakers takes 8 weeks, polishing the stainless steel rings takes 3 days, and so on. This is all costly and, most importantly, clients really appreciate the luxury. In spring this year, Estelon once again managed to amaze music and tech lovers with Estelon LYNX speakers, another trendsetter in the industry (priced: 4 000 euros). These are world’s first high-end wireless intelligent speakers. The Estelon Intelligent Audio technology used in LYNX removes the need for extra equipment and allows the listener to experience pure high-end audio through a smart, wireless system. The revolutionary system can be updated via software and the ability to upgrade its ground-breaking modular hardware to latest technology will be available in the future; never becoming old, always staying the best. This means that in addition to the speakers, one only needs a power cable, a phone or an iPad to play the music. Why are the speakers called Lynx? “The lynx is a mysterious animal and a very smart one, as you can hardly spot them in the forest. Our speakers also transfer the signal in an intelligent way and have the effect that you almost don’t see the speakers when listening to music. The sound image is created behind the speakers. When you close your eyes, you can feel where the stage is and in what size room the music has been recorded,” explains Alissa.